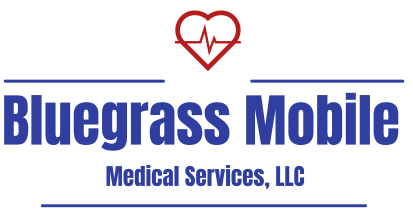 We are credentialed with Medicare, Medicaid and many of the major insurance companies. We take cash and credit card payments, also. Just like office visits, Medicare usually covers 80% of the cost for a house call, and the patient or secondary insurance company will be responsible for copayment. How do I qualify for in-home visits? If you have trouble getting to your healthcare provider, you may qualify for an in-home visit. Contact our office at 859-229-7408 to schedule your visit today. Will I have regular appointments? We will work to meet your needs. You may need us for a short time only, or for an extended period. It is our goal to meet you where you are and work with you to provide the healthcare you need, right where you are. Can I have X-rays or lab work at home? Yes! We have a mobile radiology service, Mobile Images, that has agreed to provide in home radiology services to our patients. We also partner with Quest labs for our patients lab work needs.